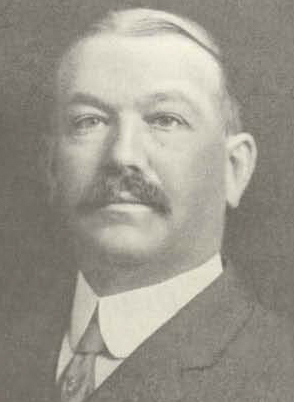 George Seymour Godard was born in Granby, Connecticut on June 17, 1865. He was the 4th great grandson of Rene Cossitt and Ruth Porter. In 1890, after receiving a BA from Wesleyan University, he attended Northwestern University in Chicago. While attending college, he worked as a guide at the 1893 World's Columbian Exposition. At this time he acquired an appreciation of the Beaux Arts style of architecture. In 1895 he received a Bachelor of Divinity degree from Yale University. Cousin George also worked hard to organize and start the Frederick H. Cossitt Memorial Library in his birth town of Granby. The Library opened its doors in 1891. In 1898 he applied for the job of Assistant Librarian for the State of Connecticut. After working in this job for only 2 years, the then State Librarian died and The State Library Committee appointed Godard as State Librarian, a post he would hold until his death in 1936. Prior to Godard being appointed State Librarian, the library collection was not organized and was stored in several rooms, attic niches and closets in the Capitol Building. Godard changed the mission of the State Library to specialize in whatever pertains to the science of government and whatever illustrates the history, character, resources and development of the State. He used his knowledge of Beaux Arts to plan and construct the Connecticut State Library and the Supreme Court Building which opened in 1910. He established a legislative reference service of indexes of bills and a law library for the State Supreme Court. He actively acquired public archives from the state and local levels and manuscripts from private organizations and people to document Connecticut's lengthy history.